RUSTENBURG CASTLE was built in 1946 by Harland & Wolff in Belfast with a tonnage of 8322grt, a length of 474ft 2in, a beam of 63ft 4in and a service speed of 16 knots. 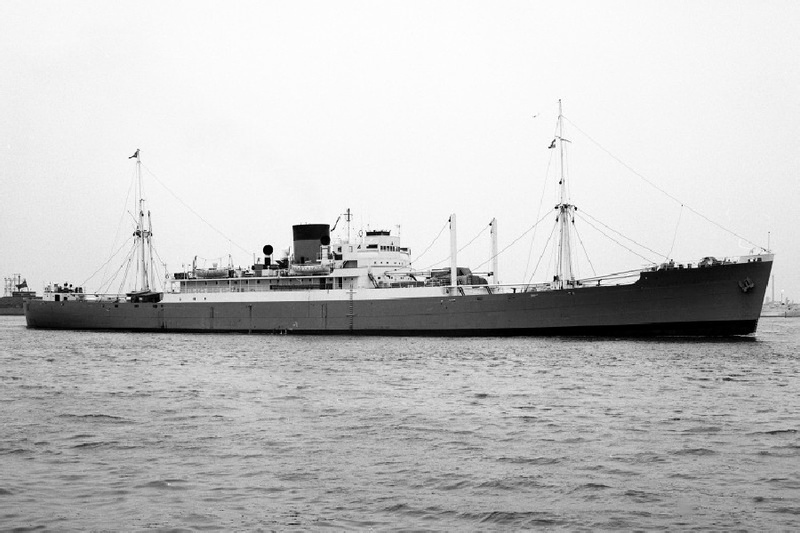 Sister of the Riebeeck Castle she was delivered on 5th March 1946 to carry fruit from South Africa on the northbound voyage and general cargo on the southbound voyage. 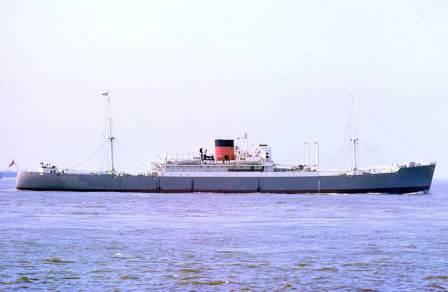 In 1971 she was sold to Chinese breakers for £147,500 and sailed on her final voyage from Singapore to Shanghai on 6th September 1971. Did the final voyage on her to South Africa - full fruit cargo mostly grapes I recall - but Brian Spiller might remember more. Chatty but happy ship under Capt. Lofts. Stowaway for the last voyage. I did that trip too, signed on 12/7/71 signed off 22/9/71 ...was EDH...think we flew home on the first Air France flight from Shanghai. Remember going on board first time in London, and saw wires all over the deck and thinking what a mess. Good trip though. Yes remember the trip to Shanghai well and we had a great time there as booze was so cheap! !-----It all more or less tasted the same and resembled the smell from the river!! I think we had something like 7 -10 days at The Peace Hotel waiting for a flight home (Paris)---Antony Wedgewood Benn was there at the time for some reason! !l Memorable trip especially going down the Malacca Straits and we thought we were being attacked by pirates but they were after scrap as word had got out we were on our way to Shanghai! !